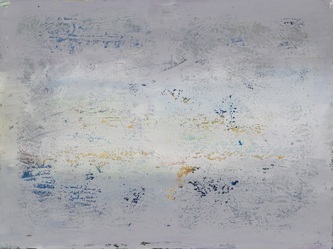 In Kosturi's painting, themes of love and freedom recur, as do references to existential values. 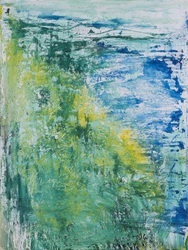 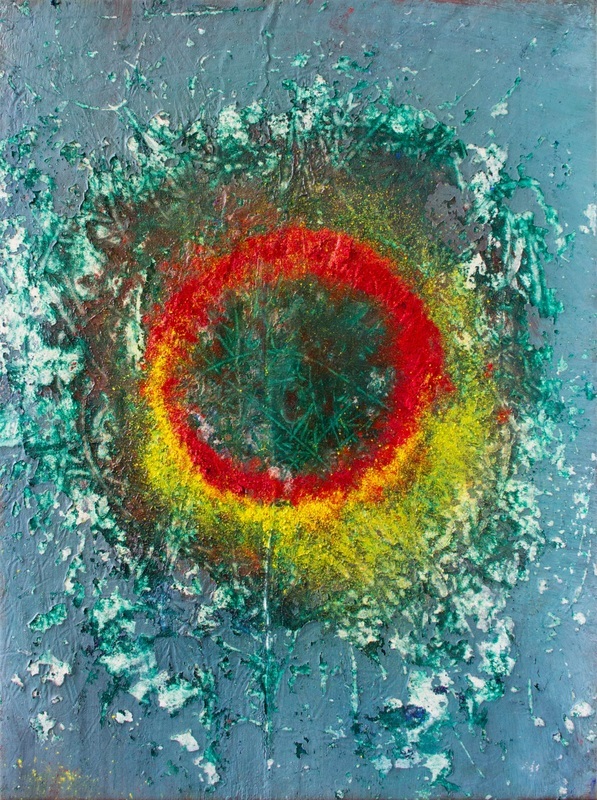 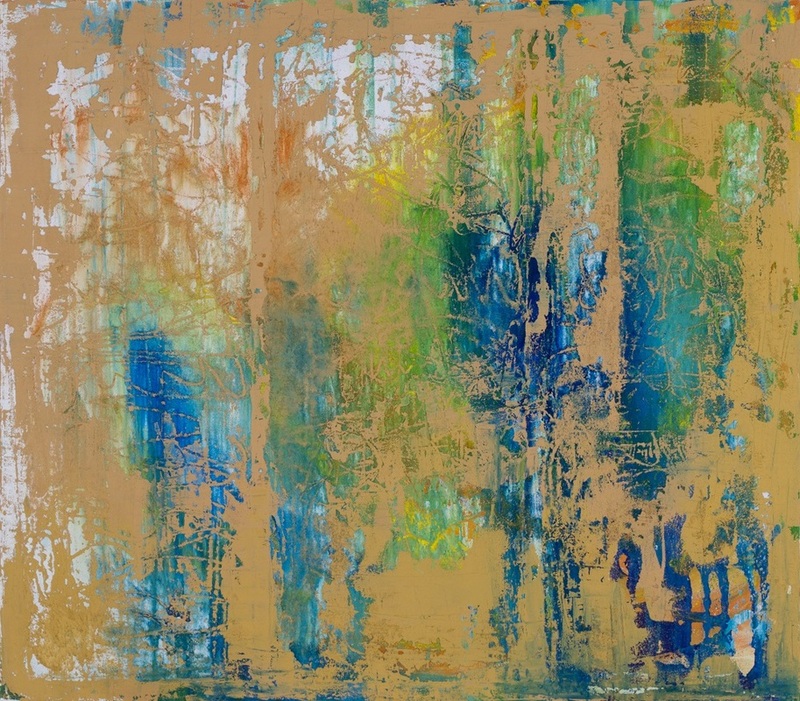 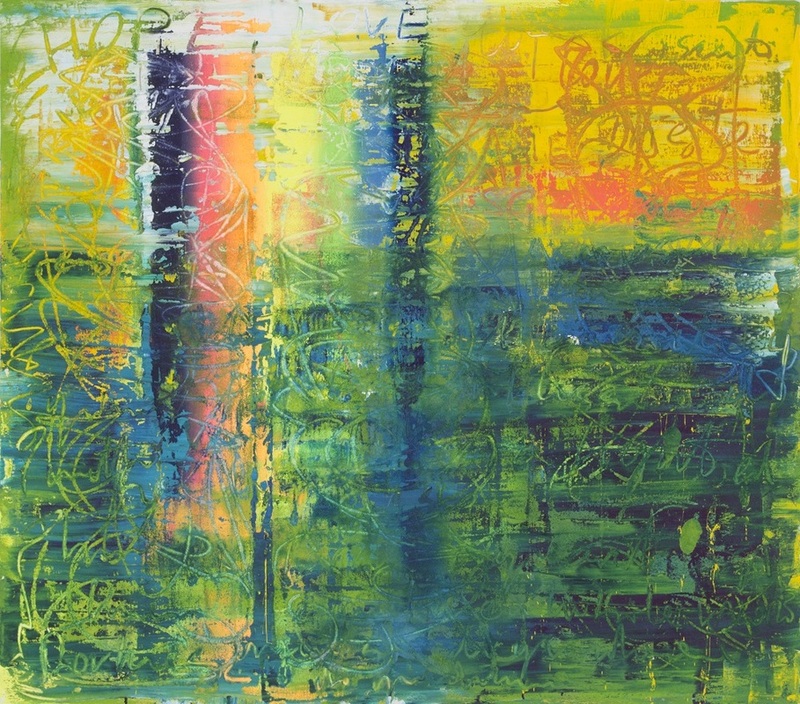 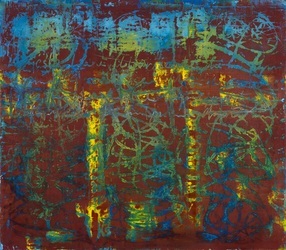 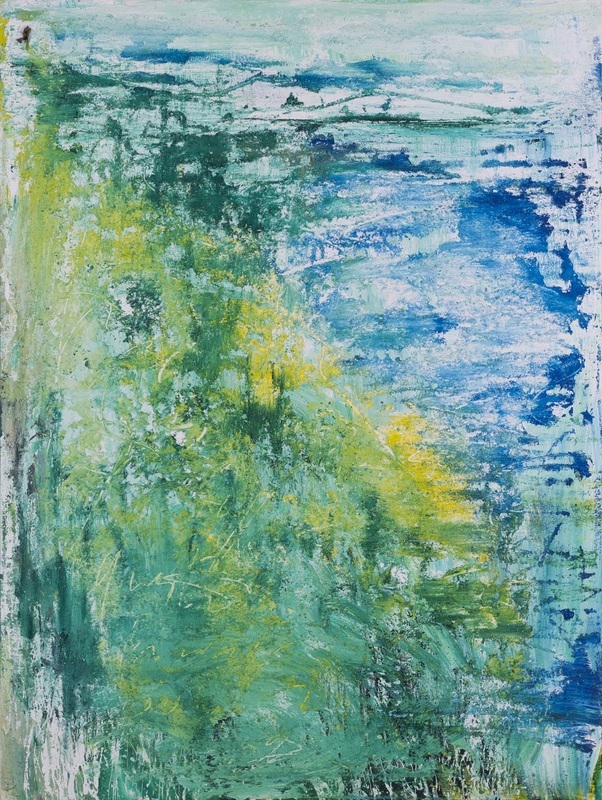 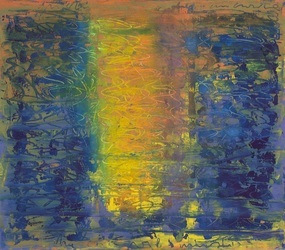 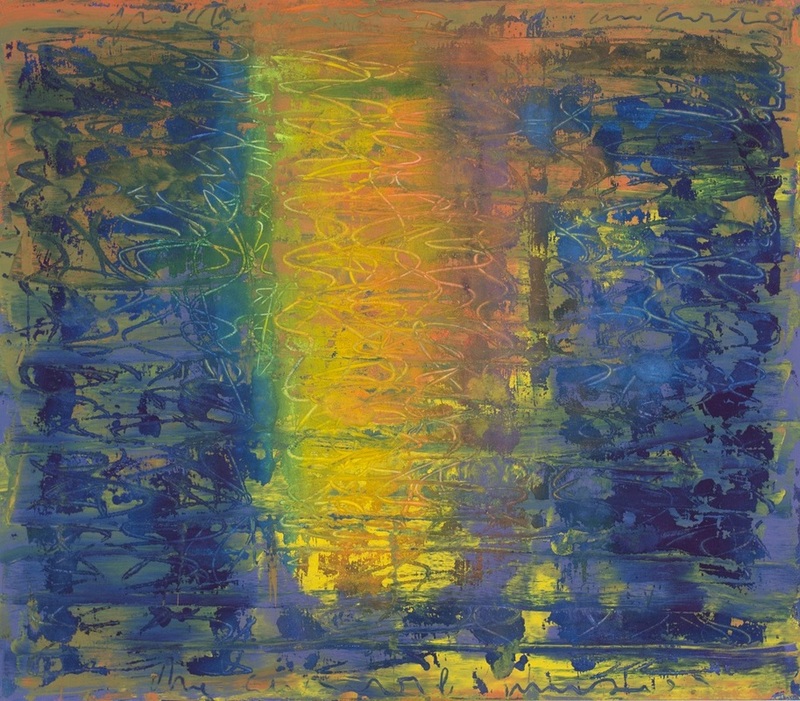 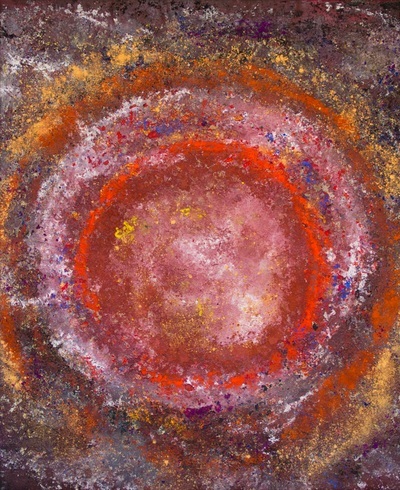 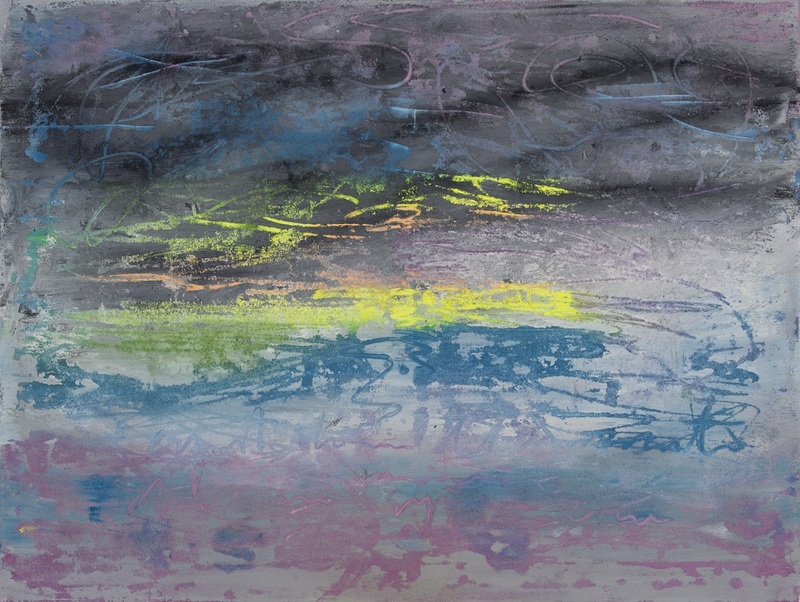 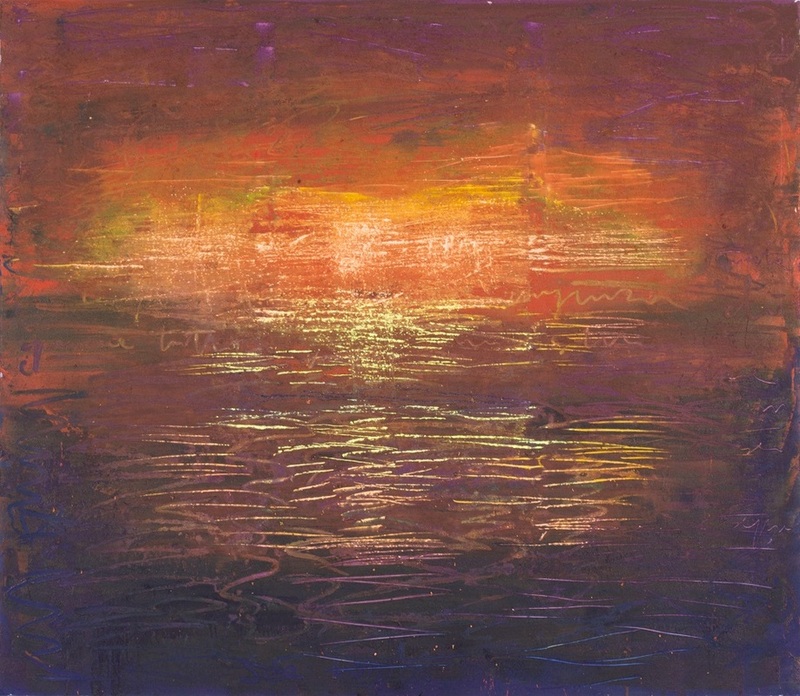 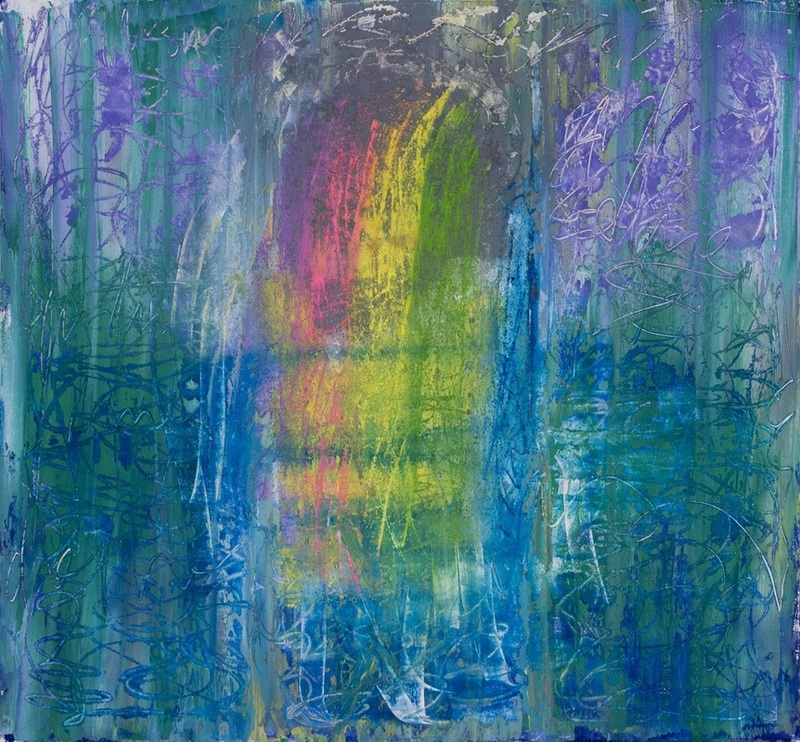 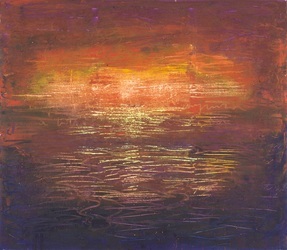 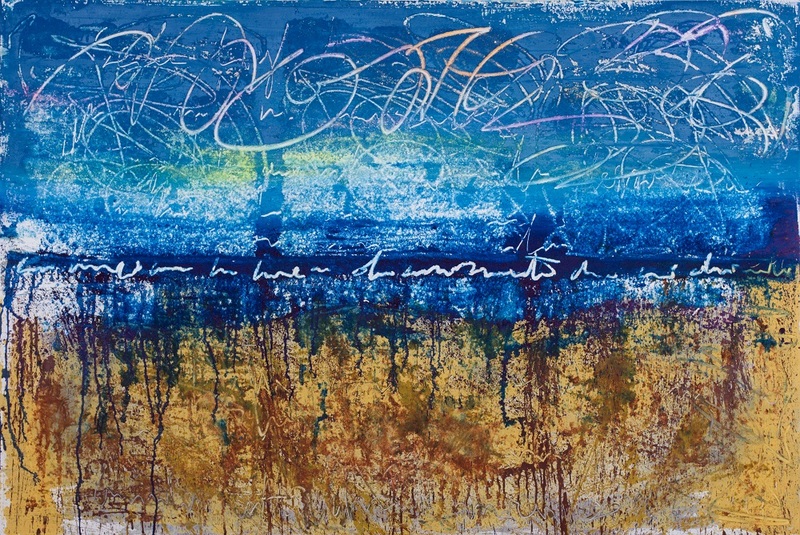 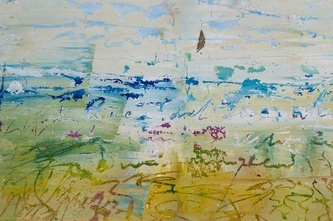 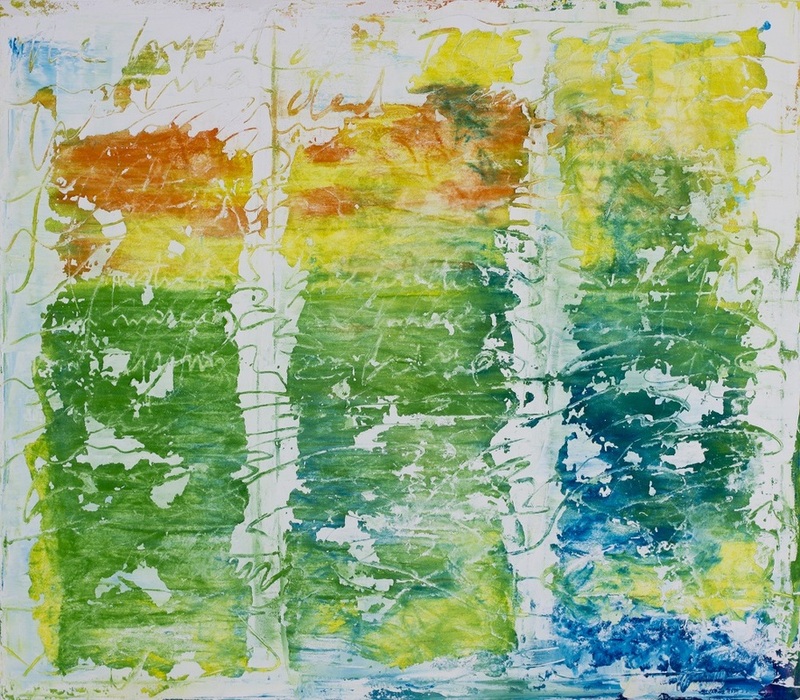 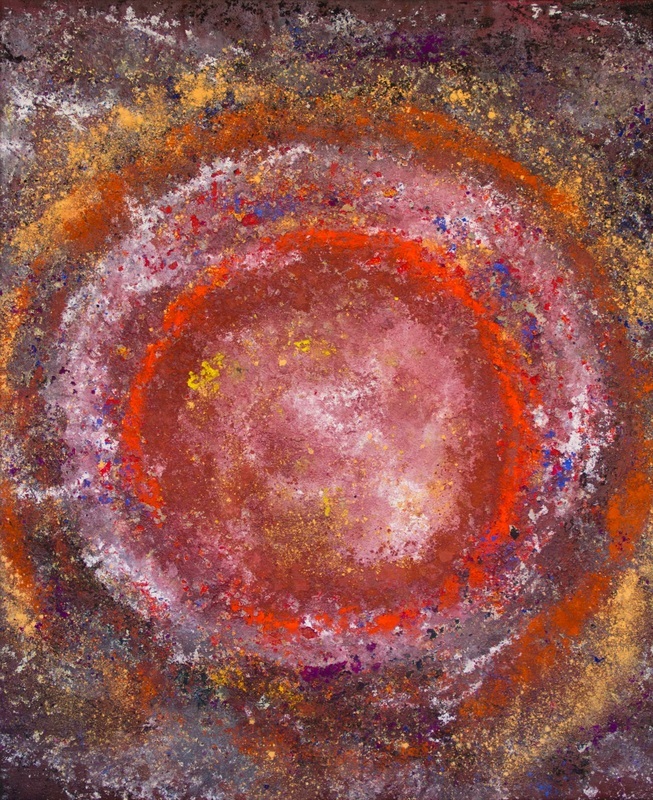 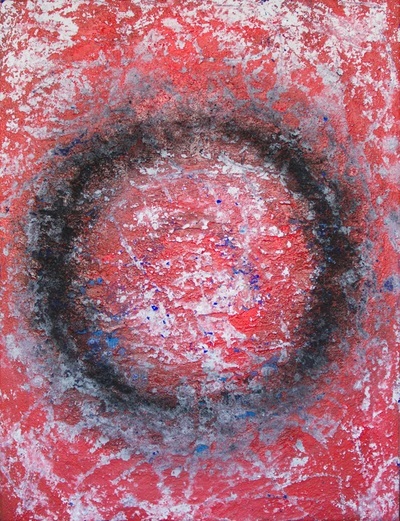 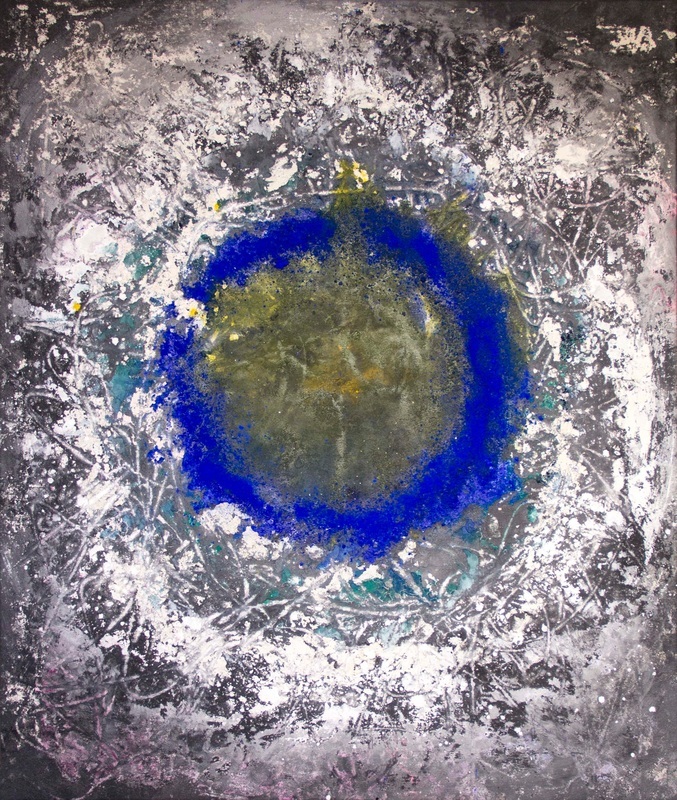 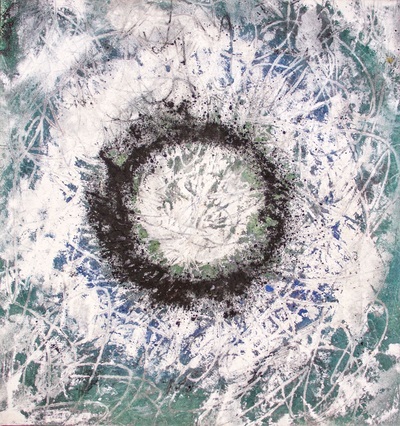 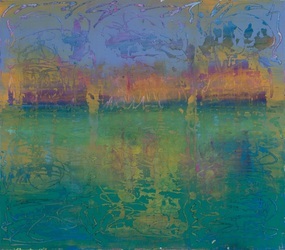 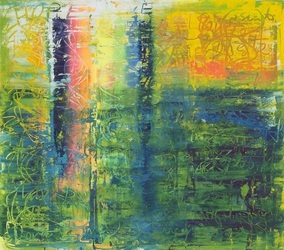 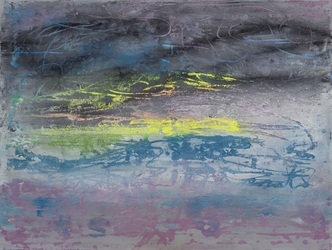 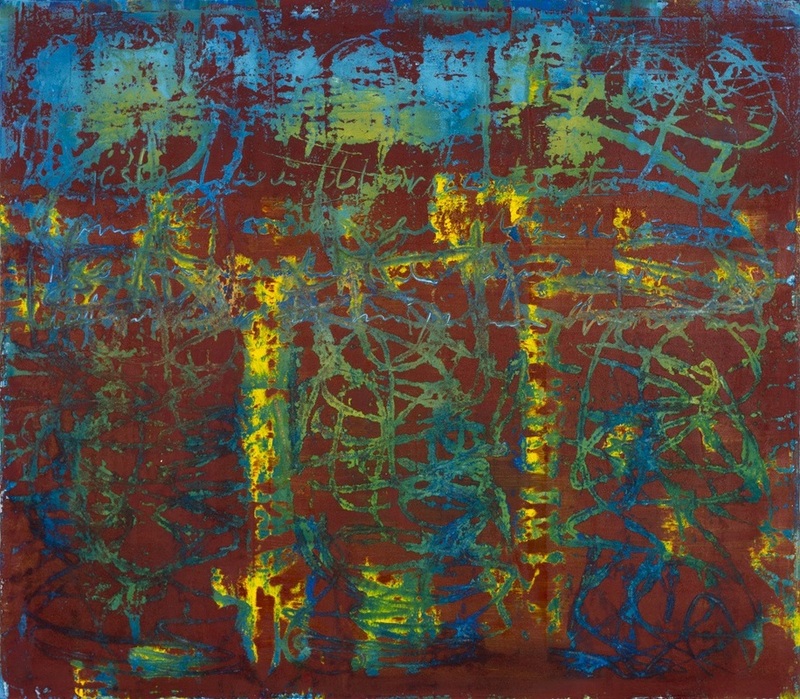 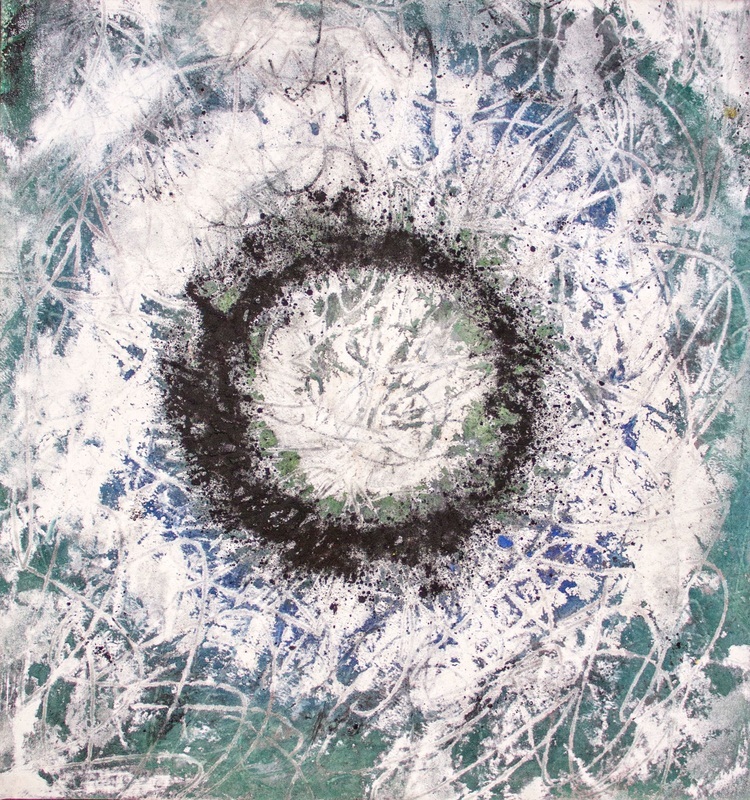 The protagonists are light and colour, seemingly independent elements, of which the artist is able to sense, through the technique of layering, all expressive and symbolic implications. 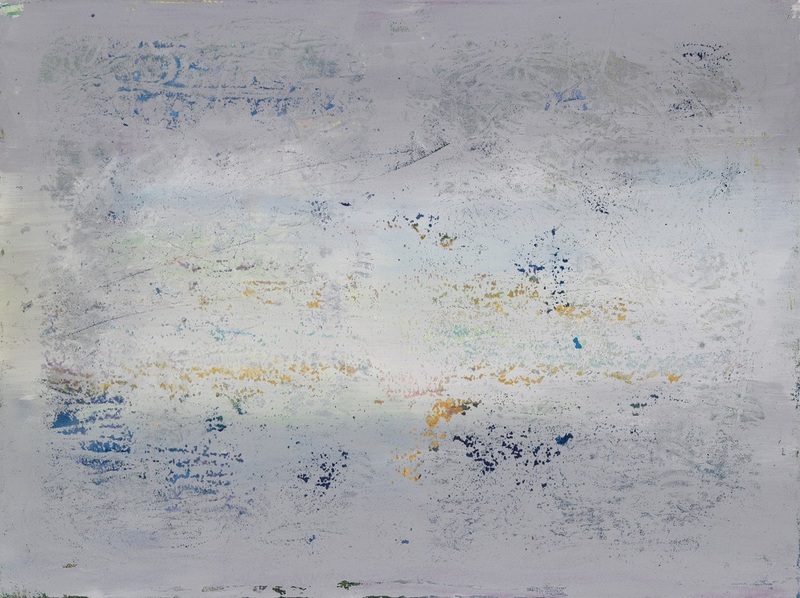 The stratification of each painting alludes to the transient aspects of existence. 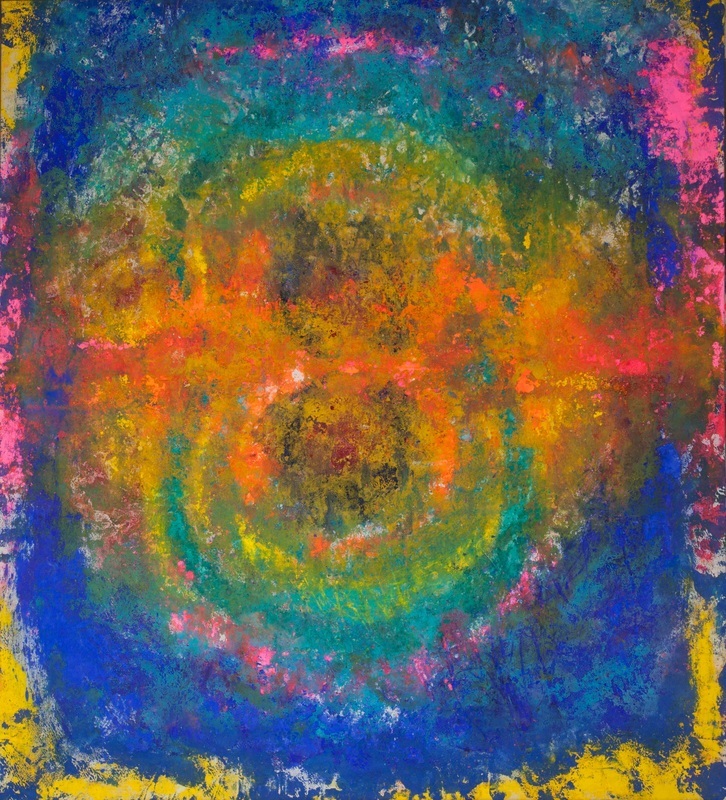 The overlapped layers, constantly evolving, conceal and bring out at the same time the regenerating power of the pictorial gesture. 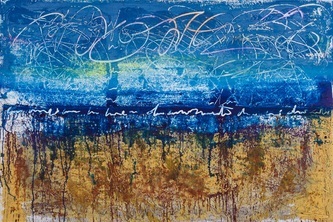 They also reveal the lettering imprinted on the canvas and the residue of monochromes. 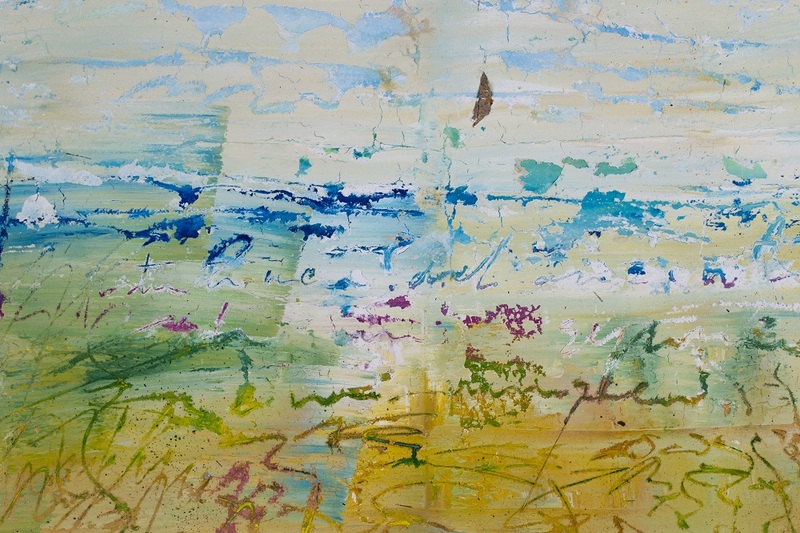 An abstract process, where it is possible to track all phases of the painting, from the beginning to the final redaction of the artwork. The steps from one layer to another seem to give back the moods of the artist.